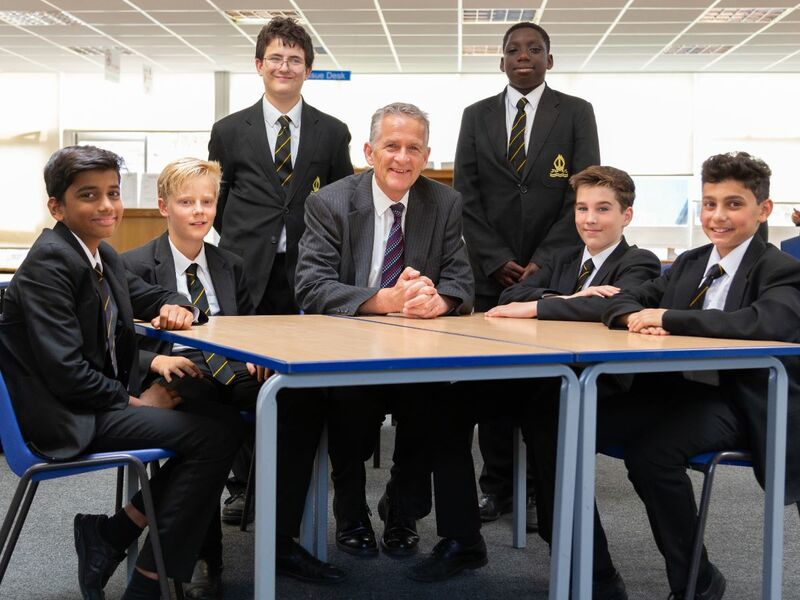 Paul Noble, Deputy Headmaster is retiring and leaving TBSHS on the 5th April 2019 after 37 years' service with the School and 39 years as a teacher. 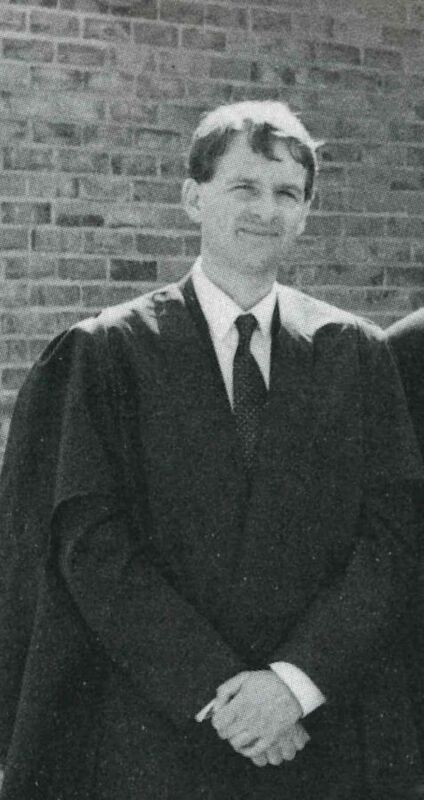 Mr Noble, who came to TBSHS in 1982 as a geography teacher and under Headmaster Ian Shaw, soon began to rise through the ranks, becoming a Head of Year in 1988 to assist with the transformation of the school and then in 1990 Deputy Headmaster. 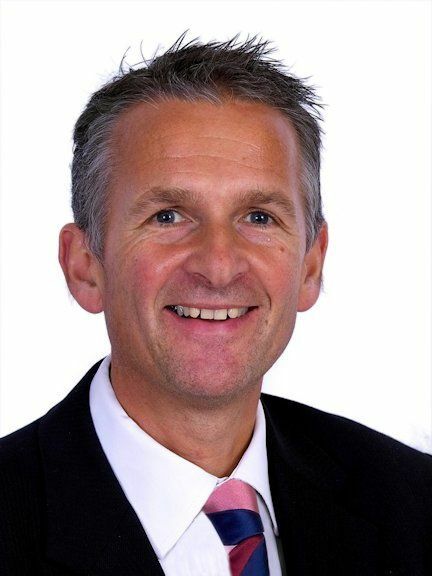 From September 2012-December 2013 he held the post of Acting Headmaster between the departure of previous Headteacher Andrew Goulding and the current Headteacher Dale Reeve. During his time at the school, Mr Noble has always taught Geography enthusiastically to many generations of students while, in addition, undertaking a wide variety of roles and responsibilities of initiatives including: Careers, School Badminton, Head of Year, School communications administrator, Press Officer, Co-ordinator of the Duke of Edinburgh’s Award Scheme, Records of Achievements, Standards Evenings, Residential Experiences and from 1990 Deputy Headteacher. In this role his portfolio has included Consortium Co-ordinator, Professional Development Co-ordinator, School Development Plan Co-ordinator, Timetable Manager and on a biennial rotation, Curriculum and Pastoral lead. Over the years he has also been involved with a great number of community, education and outreach initiatives, including working with then Headmaster (Ian Shaw) and Governors to change the status of the school to Grant Maintained, in 1993 writing the successful submission for the Technology in Schools Initiative, achieving £175,000 to extend the science laboratories, and later that year acting as project manager to monitor the professional design and construction team appointed to build ‘Newton’ our Science, Mathematics and Technology Centre. In 1996 when the future of ICT to enhance learning was beginning to unfold, Mr Noble established a partnership between TBSHS and Link Training PLC via Hertfordshire’s Training and Enterprise Council, to create a Multimedia centre for the school and local community. TBSHS became a centre for delivering New Opportunities Fund Training in ICT for the local community of Primary and Secondary Schools. In 1997, Paul procured a partnership with Yamaha. We explored ways in which we could share resources and make a difference to music technology provision in schools. For TBSHS this provided a creative and financially secure way of equipping classrooms with keyboards and a community facility for students from 5–75years. TBSHS was the first centre to be opened in the country in 1998. At its peak, there were 120 Yamaha Schools of Music across the country. In 1998 Mr Noble led the ICT team to create an NTL sponsored Home-Link. This initiative was designed to capture the potential of the Internet to improve the quality of homework and create a learning network accessible to all pupils and parents in the school community. For this project he was nominated and subsequently won, the Eastern Region Final of the BT Teachers Awards 2000 for The Most Creative Use of Information and Communication Technology in a Secondary School. In 2001 Paul Noble completed the school’s first application for Specialist College Status in the Performing Arts and raised a pledge of £25,000 from EMI for music technology projects and in 2002 he completed the application for Specialist College Status in Mathematics and Computing. During 2003-2011 he led the Specialist School to create a strong community dimension which impacted on improvements to raise standards in Mathematics and Computing through outreach opportunities for children in local Primary Schools. Between 2004 and 2005, he represented the local consortium of secondary schools as a Diversity Pathfinder and in 2005 completed the Naacemark submission in recognition of the school’s work in promoting ICT in the curriculum. In 2005 and again in 2008, he secured the Investors in People Award for the School followed in 2006 by the re-designation of Specialist School Mathematics and Computing. In 2007 Paul proposed TBSHS become an Extended School Hub (Aspects). Paul procured the initiative in liaison with local primary and secondary schools with the view to serving all 25 local schools and which continues today. Since then, this service has achieved excellent reviews from local Headteachers and the District Partnership team for promoting extended services and co-ordinating multi-agency work. Other initiatives followed, including BECTA Award for ICT Excellence in Leadership and Management and the Teaching and Learning Academy. From 2008-9 Paul's attention turned further abroad and he established partnerships with seven Dutch Bi-lingual schools to create a number of curriculum initiatives including an annual Anglo-Dutch Drama Festival, sports coaching and internship programmes leading to him being awarded a Certificate of Educational Studies, of the Teaching Learning Academy, in recognition of this work. The International School Award application followed in 2010 and the UNESCO Associated School application from which the Model United Nations Students' Group blossomed. His work as Professional Development Co-ordinator lead to professional development courses with Cambridge Consortium 2007 - 2011, representing the school on the SSAT Eastern Regional Headteachers Steering Group and eventually in 2011 proposed and then prepared a joint submission with the Hertfordshire and Essex High School to become a job share Teaching School, Catalyst. Following successful inception in 2012 he played a formative role in the collaborative leadership team developing a wide range of professional development opportunities for staff both in Primary and Secondary Schools. The Catalyst conference held at TBSHS for all Primary and Secondary Schools in 2015 was of particular note. Mr Noble will not be having a sleepy, restful retirement for some time; he has a son Jacob and daughter Emilia-Jane, and his plans for retirement include being a taxi-driver for his daughter, and chef for his wife who is also a working teacher, plus walking tours of the South West and East Anglian coast. Paul Noble has been a stalwart, loyal and devoted servant of the School for the last 37 years and will leave a large 'PCN-shaped' gap behind. Staff, former staff and the 5.5 thousand former and current pupils will no-doubt think of him with great affection. I would like to thank the whole community of TBSHS for all the great opportunities and experiences I have had over the years. I have cherished every moment. All the staff work exceptionally hard and are fully committed to providing a truly all round education, including outstanding support, for every student in all aspects of school life. Throughout my time at the school I have relished every opportunity to share my passion and touch the good will of students and staff to involve others in building the greatness of TBSHS today. The greatest strength of the school is the strong community: we are fortunate in the calibre and generosity of spirit of our teachers, support staff and students. I wish the School all the very best in the future – I’m sure the legacy of the unique Black and Gold ethos will transcend the test of time: the creation of a genuine climate of learning so that students come to school expecting to learn, to succeed, to develop exciting talents, to discover hidden ones and to contribute to the enhancement of the Outstanding Bishop’s Stortford High School.